- Video announcing that the Bring Back The Mile movement has officially launched. BBM's mission is to get the mile restored as the pre-eminent event in American track and field. College coaches who opposed the mile last month - are you listening? Love the mile? Well, watch the New Balance Games miles live on Saturday. 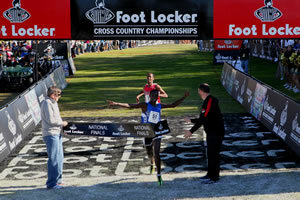 Will Edward Cheserek become just the 2nd US high schooler to go sub-4 indoors? Poll: If you were a captain of a ship, how many of you would go down with your ship? Saturday: Preview Of Texas A&M Vs. LSU Dual Meet "Matchup of two national powers that have similar strengths." Yohan Blake Says That Fear Of Him Pushes Usain Bolt "The truth is we have a wonderful chemistry. We motivate each other. When he sees me doing something wrong, he says, 'Blakey, you should try this.' I call him and say, 'Usain, make sure you do your work.'" 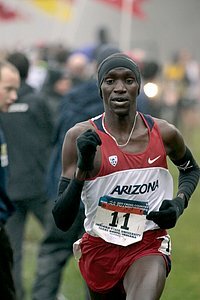 Kenyan Winner Of The Arizona Marathon, Peter Omae Ayieni, Laughs About The Idea Of Training For The Olympics In the Arizona half marathon, Canadian Dylan Wykes won in 1:02:38, which in addition to a CR, was an record for the state of Arizona, beating out previous performances by Ryan Hall and Simon Bairu. 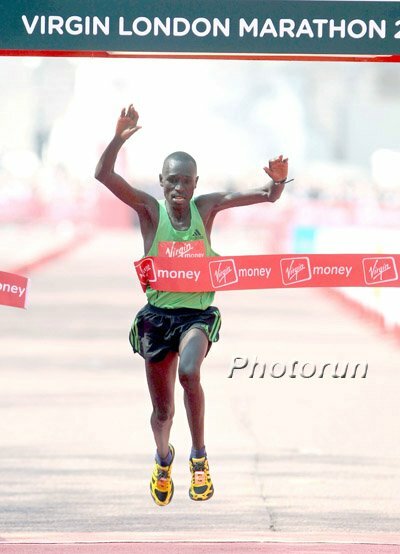 A Look At Simon Bairu's Preparations And Expectations Ahead Of Last Sunday's Houston Marathon He really thought a 2:11 or better was possible, but unfortunately that didn't happen. A Brief Chat With Benita Willis On Her Olympic Qualifying Race In The Houston Marathon Talks about the race and the coaching switch to Brad Hudson's group. More Thoughts From Dathan Ritzenhein On His Marathon Failures And Going Back To The Track "Obviously being fourth is the worst place to be, and I'm trying not to react in the completely negative, but the marathon has been a continued problem ... The 10-K on the Olympic level is probably more of my event." At Least The Kenyans Can Emulate Us At Something: Kenyan Martin Keino Argues For A Kenyan Olympic Trials To Select Marathon Team "We could learn a thing or two from USA Track and Field who held their marathon trials on Saturday. 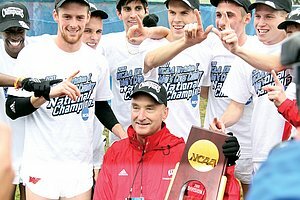 The hype and build-up of their trials was something to behold even with their much lower qualifying standards than we have." Brett Gotcher Already Looking Ahead After Getting 5th Place At The OT Marathon "It's bittersweet. I'm happy to run fast and place high, but it's hard to think that as close as I was. I have four more years until my next shot ... I chalk it up to a good experience in my first Trials and a stepping stone toward 2016." Friend of LRC Jon Gugala wrote the article. We disagree with one point. He says Gotcher was not a favorite to place high. He was in the LRC $250,000 Puma Prediction Contest polls, where he was picked 5th and finished 5th. OT Marathon 9th Placer (But 3rd Among The Mothers) 35-Year-Old Dot McMahan Happy With Her Performance "I've never raced a marathon from start to finish before and that made me so happy. I feel like I'm a different runner now. I'm so excited about what the future holds." 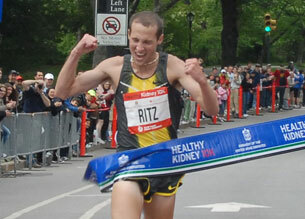 Sunday Update: 24-Hours-Later Update On Ritz: "I do love the marathon but I think I love being good better." Ritz indicated he still loves the marathon and is not done with it. He also said, "I ran pretty good yesterday." Irish Sports Council Insists That Ireland Doesn't Have A "Doping Epidemic"
2004 Olympic Games HJ Champion Yelena Slesarenko Is Pregnant & Will Miss London Games "My good friend (2004 Olympic Games long jump champion) Tatyana Lebedeva, who was one of the first to get the news from me, had told me 'it's a luxury to become pregnant in the Olympic year because not every female athlete could afford it.'" Former FSU Star Ciaran O'Lionaird Asking Irish Fans To Donate To Support Him Financially (link fixed) We're not sure why he needs it, as he already gets $25,000 a year from the Irish government and we assume Nike must pay him something as well, as he is only in the most elite training group in the world with Alberto Salazar. Dathan Ritzenhein Talks About Training, Injuries, His 4th Place OT Finish, And What's Ahead "It probably would have been better if it was 64:30 at the half. I probably would have been able to run 64:30 again ... Maybe I would have came back and picked up a spot, but that wouldn't have meant a whole lot, either. I would have skirted the competition, so to speak." More from Ritz coming. This article above is from a joint interview by Jon Gugala and LRC's Wejo. More coming. See Below. Blogger: Why The 10k Is "The Best Distance For Ritz"
US Women's Trials Shattered Marathon Depth Records So something good came out of the women's easier standards. 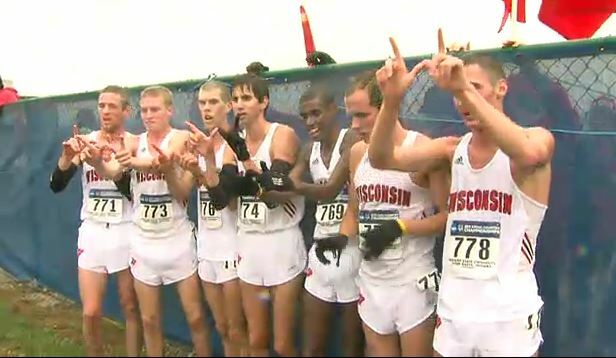 RW Blogger Talks About The Camaraderie Among Competitors "The three who made the team embraced fourth-place Dathan Ritzenhein - no doubt feeling his pain - but also gave him the space a man crying on national television likely needed." Kenya Names Provisional Marathon Squad For Olympics, To Have Separate Olympic Track Trials Race In 5k And 10k For Selected Athletes In May 6 men and 6 women are on the marathon squads and only 3 can run. Final selection will be determined after the spring marathons, but the article does not indicate if the selectors want all the runners to actually run spring marathons. 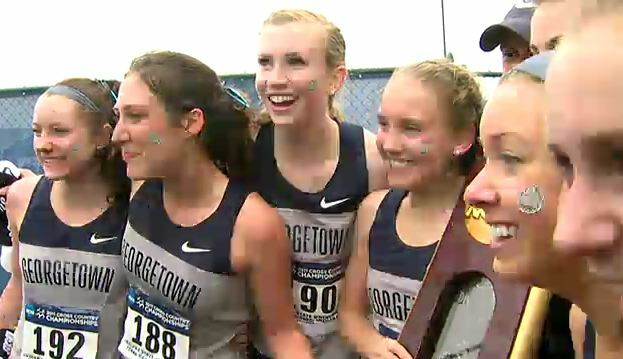 The other big news is for select athletes in the 5,000 and 10,000, there will be an Olympic Trials race in May that will select the Olympic team. 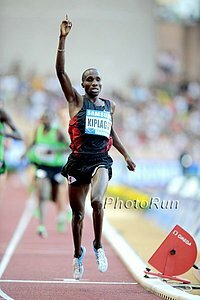 Galen Rupp To Face Mo Farah In Mile At New Balance Indoor Grand Prix In Boston, David Oliver Racing Hurdles A chance to find out if Rupp has raw leg speed. Feb 5th: Elite Field For Marugame International Half Marathon Announced: LR Hero Yuki Kawauchi Doing Last Tuneup Before Tokyo Marathon Field includes Kawauchi, #3 all-time half marathoner Matthew Kisorio (58:46), CR holder Mekubo Mogusu and Japan NR holder Atsushi Sato. 1:08:07 half marathoner Sarah Chepchirchir leads the women's field. LRC The Week That Was In Running: January 9-16, 2012 Instead of looking back, we start by using last week's Trials as an excuse to look ahead to the 2016 US Olympic Marathon Trials. 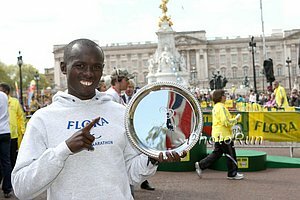 We name names and give you 5 leading early contenders for the 2016 Olympic marathon team. 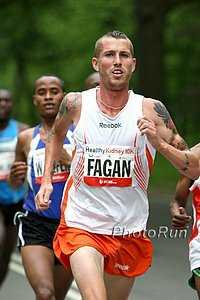 Then we return with 5 parting thoughts on the 2012 Trials, plus our Road Race Of The Month, our Email Of The Week and more, including a plea to Dathan Ritzenhein to not give up on the marathon quite yet. *Ryan Craven Blogs On Robby Andrews' Decision To Stay At UVA And Defends Some Of The Recent Transfers "After all, the most satisfying part of our sport is the feeling that you have properly fulfilled your potential-so why should the size of the stadium have any affect on our approval or dismissal of someone else’s aspirations?" *Long NY Times Feature On Oscar P True statement: "If he could somehow pull off a miracle and make it to the medal stand, there might be no end of controversy." *After Ebay Bidder Turns Out To Be A Hoaxer, UK Sprinter James Ellington Secures A Sponsor Will be sponsored by shaving brand King of Shaves founder Will King. *Why Does It Take An Olympic Games To Put T&F In The Spotlight? "In any given day during the year, Track and Field athletes are competing at all levels somewhere in the world, yet most sports fans - especially here in America - are either unaware or uninterested. Except during those two weeks of magic in the summer of an Olympics year."